New Drugs Offer Hope, Or Do They? We roll the dice every day. When are the odds in our favor? I’m not a gambler. Sure, I pull the lever on a few slot machines each time I go to Las Vegas, but I always lose my $40 allotted budget after an hour of sensory overload, too much secondary smoke and a genuine paranoia about how many germs were on those slot machine buttons and touch screens I just came into contact with. I’m not a gambler. I don’t buy lottery tickets. I don’t enter sweepstakes, in part because as a career stage magician, I’m familiar with statistical predictability theory. While precise odds depend upon many factors, here’s a typical example. In a lottery in which you pick six numbers from a possible pool of 49 numbers, your chances of winning the jackpot (correctly choosing all six numbers drawn) are 1 in 13,983,816. That’s why I don’t gamble on the lottery. The odds of getting male breast cancer are 1 in 1,000. You’re not very likely to have that as one of your life experiences, either. But I’m not a gambler. Or am I? Every day that I drive my car on the open road, I’m gambling that nobody will be texting, cross the center line and crash into my car, injuring or killing me. Every time a take a medication with a long list of possible negative side effects I’m gambling that I won’t be that rare individual who suffers breathing difficulties, muscle cramps or stroke. Every time I’m undergoing surgery—my mastectomy or my recent hernia repair for example, I’m gambling that I’ll wake up and see my loved ones again. Life it seems is all about risk taking. But after a while we simply learn to accept it, since we often have no choice. I really needed that mastectomy to save my life after all. My options were few. After my cancer diagnosis I consulted with two Oncologists in Hawaii where I was living, then flew to San Diego to get a second opinion from a physician highly regarded in his field. All recommended an aggressive chemotherapy along with tamoxifen, the drug of choice for many who deal with breast cancer. I took into account many factors in what was really a relatively easy choice for me. I researched all of the pros and cons that go hand-in-hand with chemotherapy. I looked long and hard at my own personal beliefs about life, living and dying. I analyzed the long, difficult months my first wife experienced with massive medical intervention before succumbing to ovarian cancer at the age of 47. And finally, I just looked at the numbers. One specialist gave me a 70 percent chance of living 10 years if I did nothing and 80 percent if I entered into a long relationship with chemotherapy. I decided to gamble. This is not a decision I defend, advertise or advocate for others. Cancer and how we deal with it is a very personal choice. So how we approach our relationship with cancer really boils down to measuring risk against benefit, and hoping we make the right choices. It really is a gamble. But please don’t think I’m giving up and throwing in the towel, leaving my future and my life to chance. Far from it. Our options are crucial and our decisions life-changing, and it’s for that very reason that it becomes imperative for us to give serious thought to the significance of the choices we make. 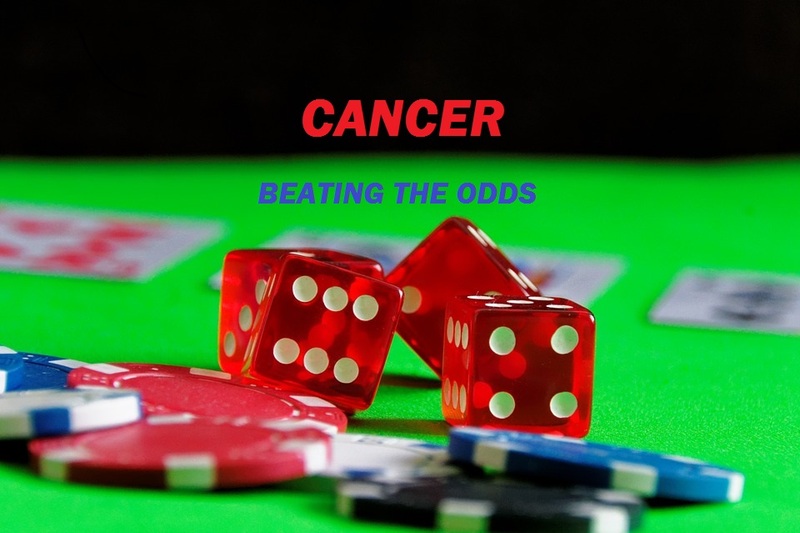 After all, the idea for cancer survivors is to win the game. Even when the outcome is a bit of a gamble.